The club holds regular meetings on the 2nd Tuesday and 4th Monday of each month at 7:00PM. 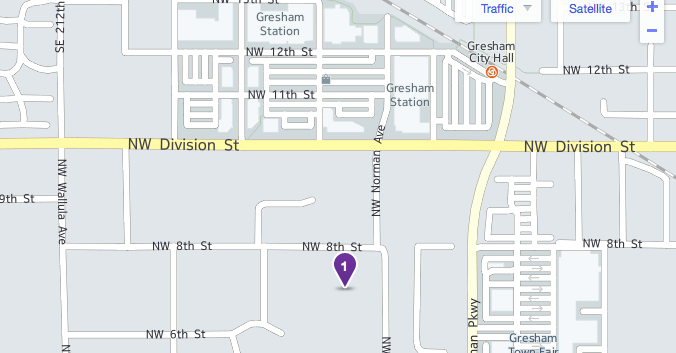 Meetings are held in the basement of the Gresham United Methodist Church at 620 NW 8th St, at the corner of NW 8th St and Norman Avenue. If you would like to join the club, please attend a meeting to register. Guests and prospective members are always welcome. Our 2nd Tuesday meetings are our monthly business meetings, while our 4th Monday meeting are our social meetings where we have a special presentation or some other activity. And every meeting usually includes the “bragging table” where members display and speak about their latest finds or lapidary pieces. Find Mt Hood Rock Club on Facebook! The Mt. Hood Rock Club (501-3C non-profit) was founded in 1952 for the purpose of bringing together those that have an interest in the collection and identification of rocks, gems, minerals, petrified wood and fossils. Many of our rockhounds also have the lapidary skill required to cut, grind and polish these materials into beautiful display pieces or jewelry. The club includes junior members that learn an interesting and educational hobby. More than 160 members make up the club. We are a member of the Oregon Council and Northwest Federation of Mineralogical Societies.